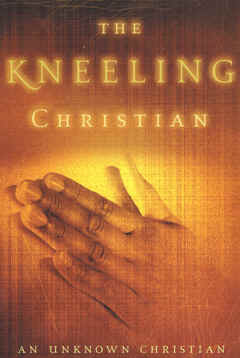 When I was in high school, one of my youth sponsors assigned me to read The Kneeling Christian in order to attend a mission trip. This older book (written pre-1930) is written by an “Unknown Author.” This book had a great impact on my view of prayer, and re-reading it last week had a positive effect on me. This book is packed with amazing quotes on prayer. I tried to research it’s history and speculated author, but found no helpful information. I did find an on-line version of the book that you can read here. Whether you read it on-line, or pick up a copy, this book will impact your life.